Lyn Mar Winery is in Sebastopol, California. Kate began consulting there in 2008, and assumed managing the gardens and landscape in November 2010, when she renovated much of the landscape. 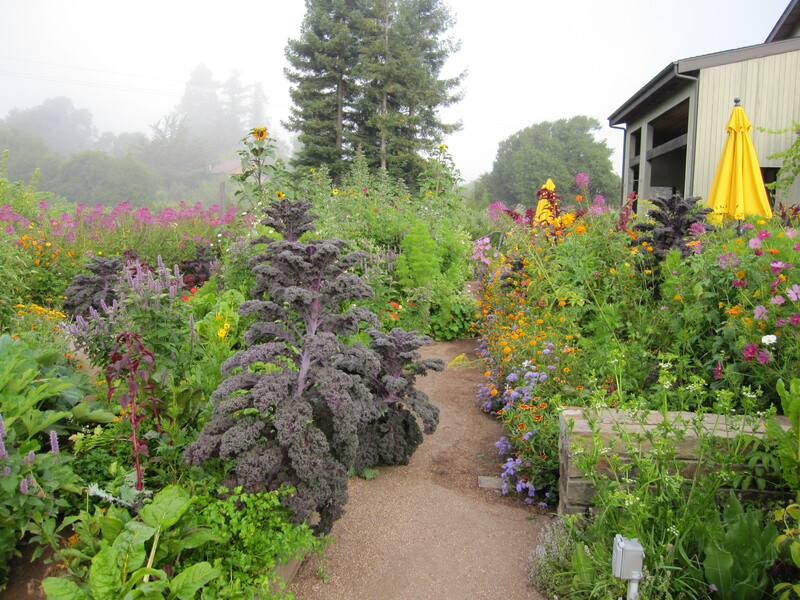 The goal of the gardens were to integrate edibles that expressed the flavors generated from the soils and climate of the estate, as well as highlight the owners, Lyn and Anisya Fritzs, concern with the environment. They wanted a landscape that expressed their enthusiasm and love for the site and the artistry of the wines. 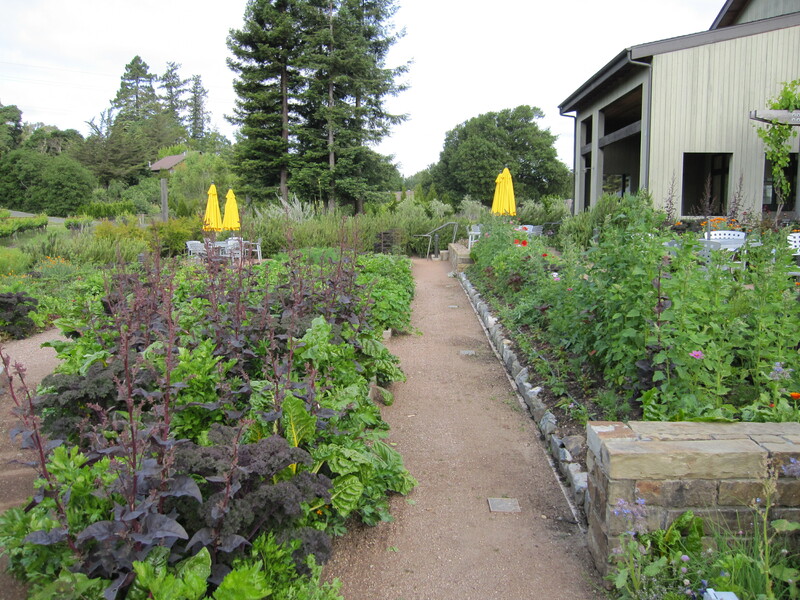 The main focus of the gardens are the edible gardens around the tasting room. 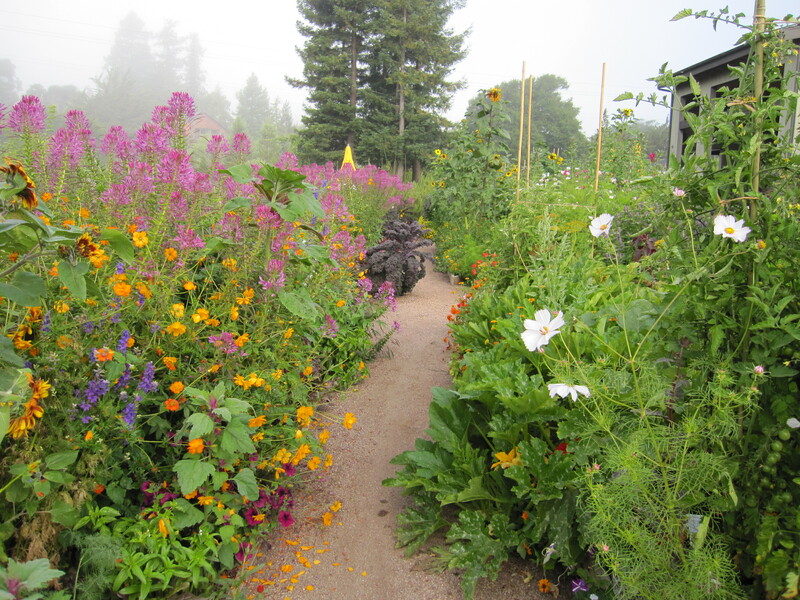 There are also extensive habitat gardens edging the vineyards- to attract beneficial insects to attack insect pests, but also support the many native organisms that live in or move through the estate which is next to the Laguna De Santa Rosa. Interspersed around the landscape are vegetable production gardens to supply food for the kitchen. All plantings are organically managed. Eytan Nevah is the garden supervisor who sees to the day to day management of the gardens. 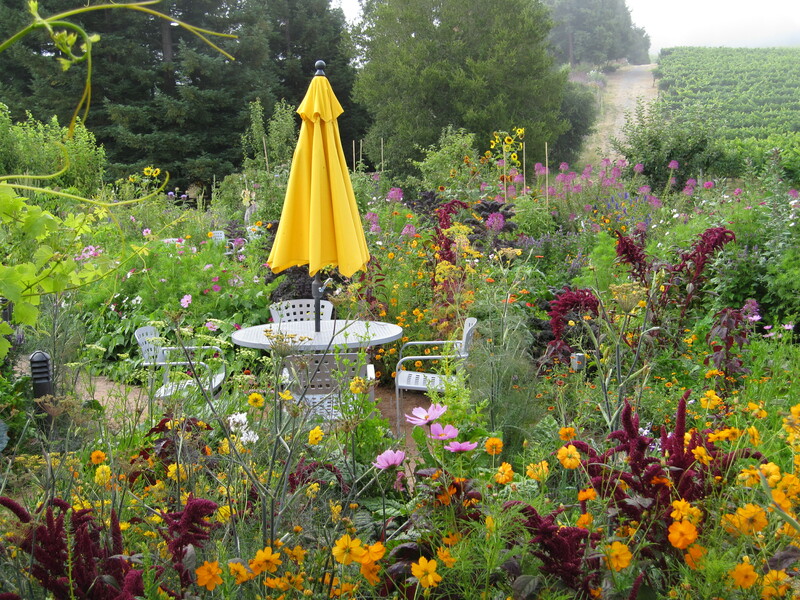 A Colorful flurry of flowers for insects and birds around the tasting room in summer. 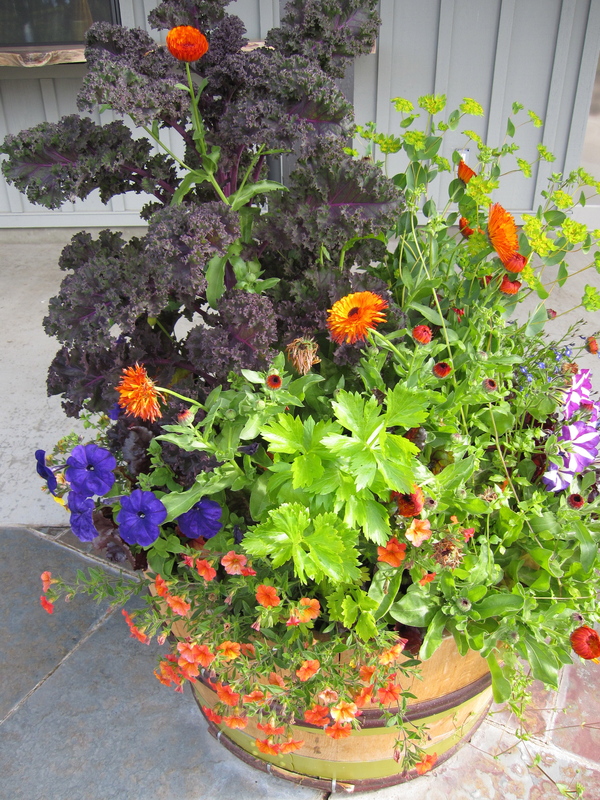 More summer fun around the tasting room with redboor kale lurking with its purple frilly foliage. An edible/ornamental planting in a wine barrel on the tasting room terrace. 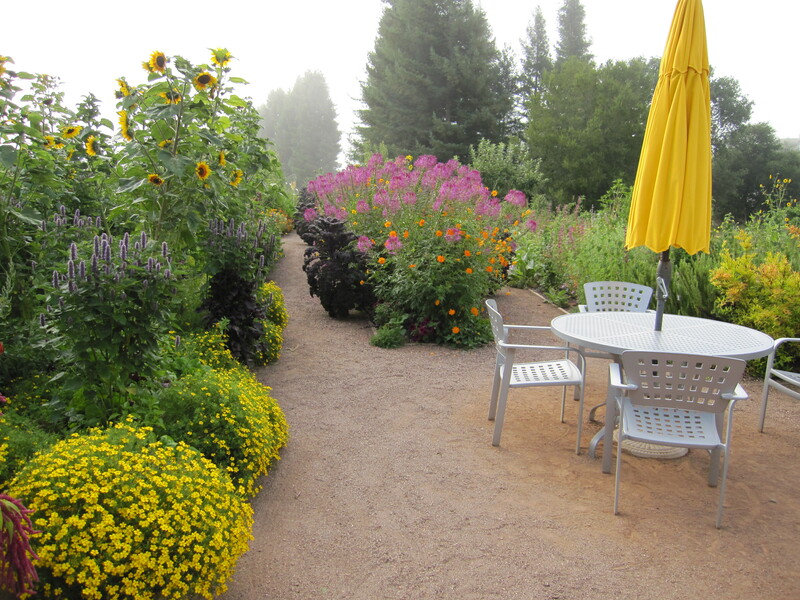 More fun around the tasting room in summer with signet marigolds, cleome and sunflowers. 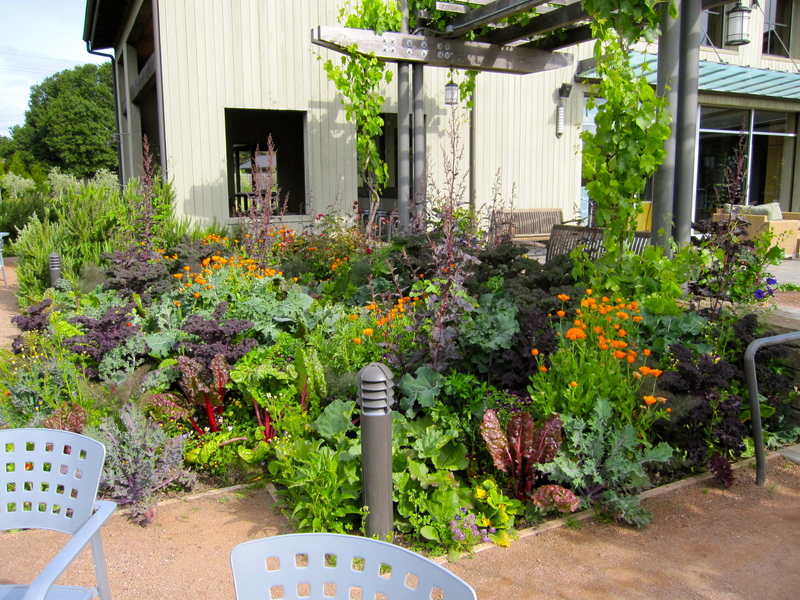 Spring vegetables at the tasting room, planted to create a tapestry of color. A colorful carpet of spring vegetables.